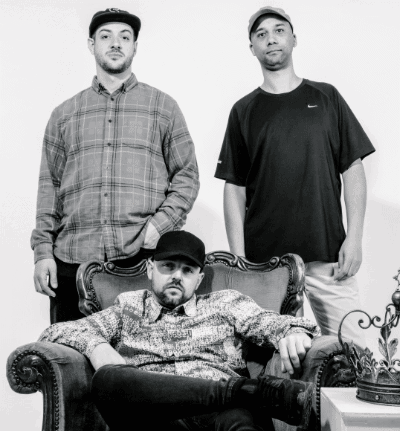 Kings Of The Rollers, marked as one of the UK based Drum & Bass "super groups", was formed in 2017 by DJs and producers Bladerunner, Serum and Voltage, frequently being joined by Inja on the microphone duties. Both Serum and Bladerunner have been around for quite some time already, honing their signature sound and being praised for their modern reworks of the genre's classics, while Voltage has made a reputation for himself as one of the new generation's emerging jump-up artists. After just a couple of their initial appearances at the events throughout the UK, they have quickly cemented their reputation as one of the most exciting DJ acts available in Drum & Bass at the moment, leading to their exclusive signing to Hospital Records in 2018, where they've released their debut EP "Rave Alarm" in the same year. Showing no signs of stopping, there's definitely a lot to come from these gentlemen in the recent future.